Functional addicts in Silicon Valley are often found in high stress and highly paid careers and professions. The drug or alcohol use of High Functioning Addicts (HFA’s) may not be a secret – but signs of substance abuse and addiction are not immediately evident. To friends, co-workers and extended family – high functioning addicts seem like ‘an average person’. For many people, addictions can coexist with what seems to be a perfectly normal lifestyle. Publicly, high functioning addicts (HFA’s) live in denial and point to their career successes. In private, addictive behavior patterns are fully active. Need help for drug or alcohol abuse? Call Admissions at 877-367-9930 for assistance. This is a revealing statement. Functional addicts often use work as an explanation for substance abuse. Recent studies suggest “smart drug” or “neuro-enhancing” cognition hacking is increasingly appealing to students and working professionals. ‘Life Hacking’ enhancement is also on the rise within the workplace, where modafinil, which treats sleep disorders, has become particularly popular. Adderall is a prescription stimulant amphetamine. It is addictive and habit-forming; and has been associated with a higher risk of psychosis, heart attacks, and even sudden death. Ritalin is a prescription stimulant. It can cause dependency and addiction. Common side effects are nervousness, sweating, blurred vision, reduced appetite, weight loss, and nausea. As masters of deception, functional addicts are difficult to identify. • They usually have a well-paid job or profession and are often well-respected by co-workers. • Most tend to be married or in a partnered relationship; often there are children. • Denial of substance abuse; and may become unexpectedly angry if asked about the possibility. • Feel entitled to drink or drug because of their career success; or feel they must engage in substance abuse to deal with career demands. • Ability to restrict use leads to the illusion that the person controls their substance use or abuse. • To the outside world, they appear to be managing life well and do not fit the ‘down and out’ addict stereotype. • At home, they often isolate and drink or drug; and may blame immediate family for their behavior. • DUI arrest. But if it is a first-time offense, they will explain away any personal responsibility. • Unlikely to seek help for addiction on their own – they are not ‘addicts’. Friends, co-workers and extended family members may make excuses for the behavior they observe and spin it so that it sounds reasonable. Functional addicts may also have serious secrets in their personal lives; such as domestic violence or child abuse. Addicts are not happy individuals. When depression, anxiety or other dual diagnosis (co-occurring disorders) are present, functional addicts may strike out at a spouse, child, partner or co-worker. In many cases, the partner thought they had married the nice Dr. Jekyll – but now at times they experience the raging maniac that is Mr. Hyde. Families of functional alcoholics experience significant emotional trauma. It is very difficult living with a substance abuser; addiction affects the whole family. But with functional addicts, family members must also deal with significant cognitive dissonance. Family members – who have usually bought into the ‘typical addict stereotype’ – question the evidence of their own eyes and experience. Eventually, some family members living with a functional addict may question their own sanity. No explanation seems to ‘fit’ what is happening. Friends and extended family do not experience the same person as family members deal with at home. Functional alcoholics and addicts rarely seek help on their own. Most see no problems in their life or with their relationships. Interventions may be the only possibility to reach a functional addict or alcoholic – and get them into treatment. If you are in a relationship with a functional alcoholic – you need to take steps to protect yourself. Family recovery programs are essential to ongoing well-being for the family of alcoholics. If there are children involved, they must be protected. The goal of intervention is to introduce the idea of change into the person’s life from the point of several family members. It is designed to be respectful and to allow family to share their feelings in a non-confrontational way. The hopeful result is that the person will want to stop the destructive behavior and get help. For Professional Interventions, Call Admissions at 877-367-9930 for assistance. Those in highly paid careers rarely want to take the time needed for residential rehab and addiction recovery. It is easy to use the career as an excuse to avoid getting help. However, the best chance for recovery is a permanent change in habitual behaviors. Time, education and therapy are required to make permanent changes. Residential rehab treatment is recommended. Many functional addicts also experience depression and/or anxiety. For a lasting resolution of underlying mental health issues, dual diagnosis treatment is needed. Bottom Line: The eventual outcome of an escalating addiction will take a lot longer to sort out than taking a few weeks off for rehab. Need help for drug or alcohol abuse? Questions? Call Admissions at 877-367-9930. Long-term addiction recovery is dependent on discarding habitual behaviors – and instead engaging in new sober activities. New Start Recovery Solutions, serving the Bay Area and Northern California – uses a whole person approach to healing and addiction recovery. This includes mindfulness training. Mindfulness provides the internal focus to be quietly aware of your own thoughts and impulses without judgment – or acting on the impulses. Clients receive assessment and individualized treatment plans. During rehab, clients are introduced to new habits, rituals, and wellness techniques for mind, body and spirit. Holistic recovery in residential programs at New Start Recovery Solutions includes core addiction treatment, along with mindfulness practices, yoga, tai chi and positive psychology. Dual diagnosis treatment is available for co-occurring disorders. Need Help with Alcohol or Substance Abuse? If you or your family are experiencing the effects of addiction – it is time to take the necessary steps to get help. 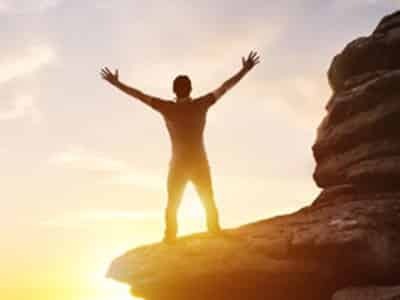 New Start Recovery Solutions can help you with alcoholism and drug rehab in most areas of the U.S.
For Professional Interventions in the Silicon Valley area – contact us. If PTSD or any form of mental illness is also involved (depression, anxiety, obsessive compulsive disorder and more) – it is critical to make certain the recovery center you choose has Dual Diagnosis treatment. Dual Diagnosis is also known as ‘co-occurring disorders’ in substance use disorders (SUD) treatment. Call Admissions at 877-367-9930 for assistance. New Start Recovery Solutions has comprehensive addiction rehab centers and dual diagnosis addiction treatment programs in all areas of the US. Contact David Burke at New Start Recovery Solutions for details and more information on addiction treatment programs that will fit your needs – and work best for you. Or call 877-367-9930 now to inquire about how we can be of assistance.